Whether you want to learn about a new cuisine, escape into a hotel-based novel or gain some business knowledge, these must-listens have you covered. Looking to 2018, we are all eagerly anticipating the new food and beverage trends that will emerge. Here’s a few that we’re placing our bets on. Meeting Professionals International (MPI) and the San Diego State University (SDSU) L. Robert Payne School of Hospitality and Tourism Management have announced that they will create the first graduate-level meeting and event program in the United States for mid- and senior-level professionals. They also intend to develop a related academic certificate program for nontraditional students…. Long journeys are inevitable when you are an event professional. That travel time doesn’t have to go to waste though! Here we unpack the audiobooks you need for your next trip. Whether you want to learn about a new cuisine, escape into a hotel-based novel or gain some business knowledge, these must-listens have you covered…. We looked into what makes these the most Instagrammed cities, locations, hotels and museums, and why planners would love them too. 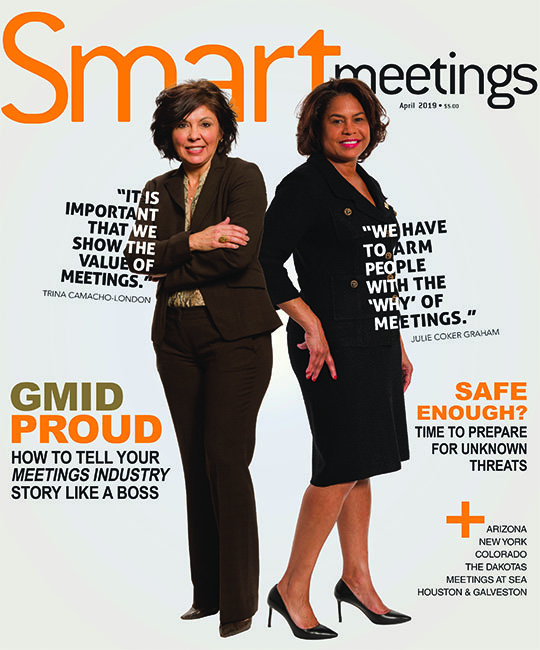 Smart Meetings proudly announces four brand new Smart Moves from Benchmark, Visit Denver and more. Stay up-to-date on the latest industry news! Each of the five women on the cover of TIME have spoken up about sexual assault in their respective work places this year.